Crossing the border into Spain was barely noticed, no large signs declaiming the point at which we moved from one country to another, just a gradual dawning of realization that the road signs were now of the Spanish variety and a succession of cheap petrol stations being visited by queues of French cars. It’s rarely that we’ve crossed European land borders before as holidays have usually involved leaving the UK by air and landing in our destination country, the Schengen agreement’s easing of travel across borders is a huge benefit to us, but it’s missing the theatre of border control generated by the anticipation of a holiday and the slight apprehension that something might go wrong. 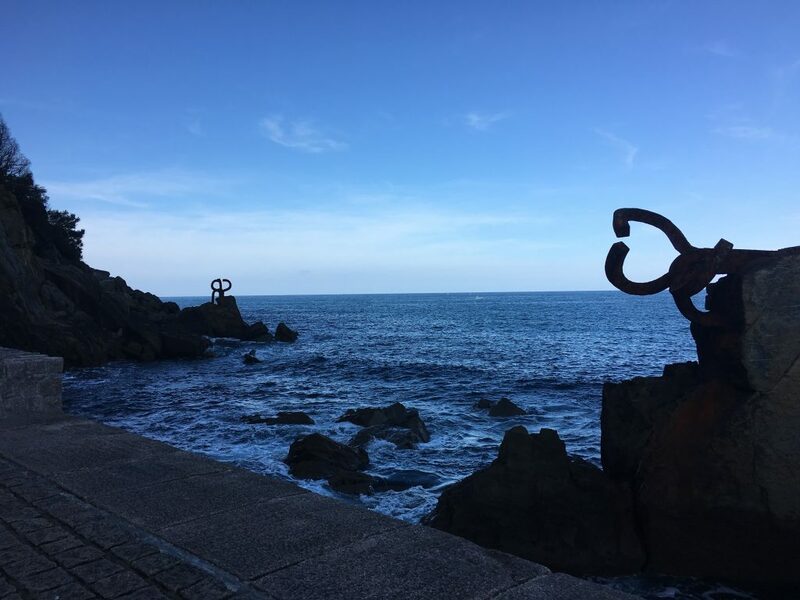 Our first stop was not far from the border, just a step down the coast to San Sebastien where the small city sits behind a large crescent beach. We parked up in an aire in the university district where motorhomes were tightly packed together to make the best use of the space. Motorhomes came and went all day and evening, often arriving to find there was no room. It was a busy place. It was also very cosmopolitan compared to the French aires we had been on recently where the majority of vans were French; this aire had a good mixture of German, Dutch, English, French and Spanish vans. The weather turned from grey skies to blue and we ventured the ten minutes or so from the aire to the beach where we took a walk along to the Peini Del Viento (the Comb of the Winds, in case you’re wondering) – a combined architectural and sculptural installation at the eastern end of the beach. Possibly the most engaging part was the way that the sea was used to push air through vents in the floor, producing sounds and blasts of air. The potential for a Marilyn Monroe incident stymied by the fact that everyone was wearing trousers. We headed down to the old town but our walk was cut short when Paul decided his sore toe from the previous day’s walk was probably a blister. 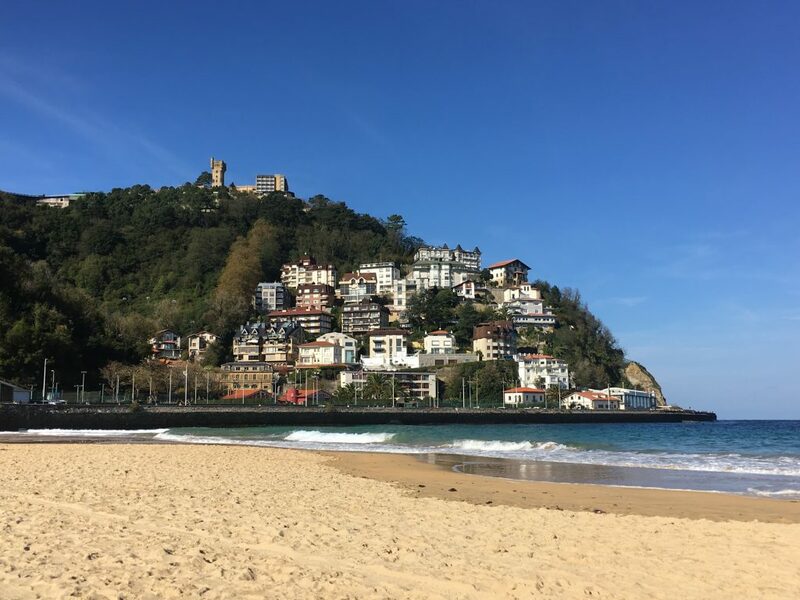 We never did make it into the old city, we debated whether to stay for another day specifically to take a longer look around, but not being city fans we decided to give it a miss as we knew we were going to Bilbao in a couple of days. The aire was quiet that evening, it may have been the university district but the students obviously ventured further afield for their social lives.